Dentists and orthodontists have been working with traditional metallic braces for decades. Generations have gone through the rite of passage of having a shiny, wire-filled mouth for a couple of years. Braces have endured because they work, but anyone who has had braces knows that the price of that perfect smile comes with several temporary downsides. Dentists are acutely aware of these less than desirable aspects of braces as well, which is why an ever-increasing number of them are leaving metal braces behind and are choosing Invisalign® for their patients instead. As the name implies, the Invisalign system consists of invisible braces. The removable Invisalign aligners work by moving teeth through the appropriate placement of controlled force on the teeth, just as traditional metal braces utilize mounted brackets and wires to do the same. The principal difference is that Invisalign not only controls the forces, but it also controls the timing of the force application. This results in an efficient force delivery system. Totally invisible.Invisalign aligners are 100% clear. No one will have any idea you are wearing braces, and you won’t feel self-conscious or embarrassed when you smile. This is not only a huge benefit for teenagers who make up the majority of orthodontic patients, but adults wishing to improve their smiles no longer need to be deterred by the thought of flashing a big metallic smile in the middle of a business meeting. Less treatment time. Traditional braces take an average of approximately 36 months before they are removed. Some treatments can last as long as eight years. 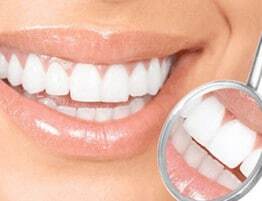 Invisalign, however, works significantly faster than metallic braces. The treatment takes from about a year up to eighteen months at most. Invisalign accomplishes rapid results even though Invisalign aligners are completely removable, so you can take them out to eat, brush and floss. No eating restrictions. With metal braces, certain foods and beverages are off-limits. No popcorn at the movies, no gum, no corn on the cob at a backyard barbeque. But, as noted, with Invisalign you can remove the aligners and enjoy everything you did before. Nothing will get stuck in the aligners, nor will anything get in the way of you brushing and flossing your teeth after having some of these tasty but formerly forbidden foods. 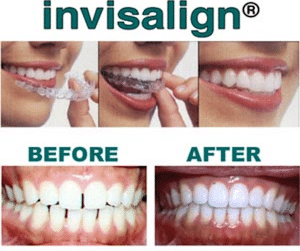 If you want to learn more about Invisalign and find out whether it is right for you, please schedule a visit with Dr. Hermann who can evaluate your specific condition to determine if you are a candidate for the Miami Invisalign dental straightening system. Dr. Herrmann will explain your options and the required length of time for treatment, as well as answer any questions you may have regarding this cutting edge, non-invasive treatment procedure.